Since I’m not very good at keeping secrets, I wanted to inform you that I will be releasing my holiday line, “The Twelve Bags of Christmas,” on Monday, December 1st. These twelve handbags are glamorous, sophisticated and sure to make any holiday cocktail dress pop. All Crystalyn Kae handbags are available on my website with free-shipping to anywhere in the U.S. and are guaranteed to arrive by Christmas day if ordered by December 20th! Many of the handbags are very limited edition and are sure to sell-out quickly, so plan ahead. 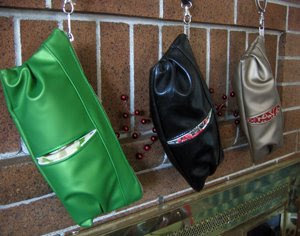 In the spirit of giving, on Monday, December 1st, for one day only, I will be offering two for $100 on select clutches. If you are too anxious to wait for the Monday sale, I have made a few handbags available to purchase today!